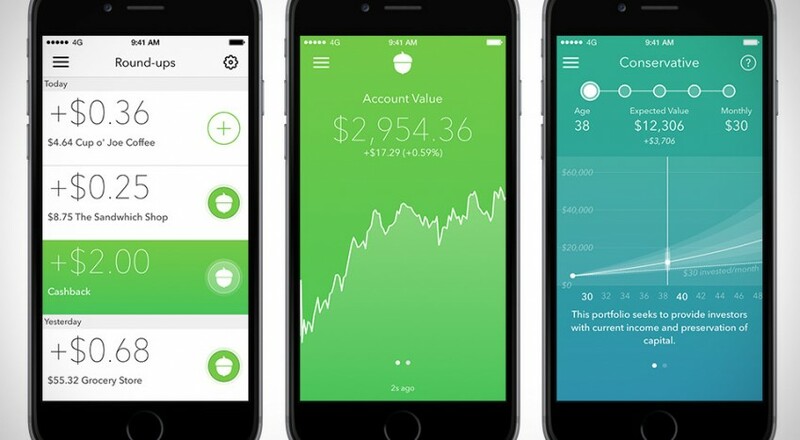 Acorns is a robo-advisor whose service is based on the old idea of saving your spare change. This robo-advisor rounds up all of your credit or debit card purchases to the nearest dollar and then invests that change into a portfolio of exchange-traded funds (ETFs). Everything is done online and everything is automated, so you can just set it and forget it. The service specifically targets millennials who have a difficult time saving money or who are new to investing. Should you consider using it to invest your money? Pricing: How Much Does Acorns Cost? You can open an Acorns account for free, but you need to transfer at least $5 into your account in order to start investing. The company does not charge any trading fees, transfer fees or closing fees. The management fee for your account depends on which plan you choose, but all plans come with a flat monthly fee. The cheapest plan, Acorns Core, costs $1 per month. It allows you to invest, but only in a taxable investment account. It also gives you access to other features like, Found Money®, which provides cash back for spending money with Acorns’ partners. If you want to invest your money in a tax-advantaged retirement account like an IRA, you will need to pay $2 per month for the Acorns Later plan. The most expensive option, which costs $3 per month, also includes Acorns Spend. This plan gives you access to a checking account that is designed to pair seamlessly with Acorns’ services. College students with a valid .edu email benefit from no management fee for the Acorns Core plan. This offer lasts up to four years from the time of opening an account. The other account options do not offer a reduced fee with a .edu email. Prior to April 2018, accounts had a management fee of $1 per month if the account value was less than $5,000. Accounts with $5,000 or more had a management fee of 0.25%. As of April 2018, Acorns no longer ties its management fee to the value of your account. With that being said, the company may offer a different management fee if you have $1 million or more to invest. The company specifically recommends reaching out if you have that much. You can open an account for free by going to either the website or mobile app. The Acorns mobile app is its bread and butter, and has won multiple awards for its attractive design. To set up an account, you will need to enter some personal information, link a bank account to Acorns, set up your financial goals and indicate your risk tolerance. There are individual taxable accounts, as well as Roth IRAs and traditional IRAs. You can choose between five prebuilt portfolios, which are designed to match your level of risk tolerance; generally speaking, the higher your risk tolerance, the more of your money will be invested in higher-risk assets with higher growth potential. There is no minimum for opening an account but you will need at least $5 before you can start investing. Accounts are funded through what it calls roundups. You can start making roundups by linking credit and debit cards to your Acorns account. What are roundups? When you make a purchase with an Acorns-linked card, the company will round the purchase up to the nearest dollar, withdraw that difference from your bank account and invest it into your portfolio. If you spend $5.60 with your card, it will round that up to $6.00 and invest the difference of $0.40 into your portfolio. It’s a little at a time, but it can really add up. You can link an unlimited number of credit and debit cards to your account. Acorns also offers a branded checking account and debit card through a partnership with Lincoln Savings Bank. This account and card are set up to work seamlessly with your Acorns account. With the checking account you can check your roundups and investments in real time. The checking account and debit card are only available if you choose the Acorns Spend option. Acorns will invest roundups automatically but you can also choose to manually invest. Manually investing would require you to go through a list of your purchases and decide which you want to round up and invest. In addition to funding the account through your roundups, you can also manually transfer lump sums into your Acorns account from a bank account. The target market for Acorns is college-age millennials who are new to investing. Accordingly, the company’s accounts are tailored to that clientele. One example is the lack of management fees for account holders with a valid .edu email address. This offer lasts up to four years from the time you open your account. This can really help you get a head start on saving and investing in college – a time when many people are not even thinking about investing. Note that the free account only applies to Acorns Core accounts. Acorns’ most distinguishing feature is roundups. And while a roundup don’t necessarily add a lot per transaction (it invests $0.50 whether you spend $5.50 or $500.50), all that change adds up over time. Found Money® is a cash-back rewards program that adds bonus cash to your portfolio when you spend money with one of Acorns’ partners. Bonus amounts range from 1% to 5%. There are currently two kinds of Found Money® transactions. For “Tap and Get” offers you have to go through the Acorns app and then make a purchase through your mobile phone. For “Simply Spend” offers you just need to use your Acorns-linked card to make purchases with partner brands. Note that, unlike a cash-back credit card that offers cash back on all purchases, Found Money® offers only exist for companies that partner with Acorns. There are currently more than 250 partners, including Groupon, Airbnb, Lyft, Walmart, Expedia, SoFi, Blue Apron and The Wall Street Journal. Acorns also provides educational content through its website and app. This content explains important investment terms and concepts using simple language. You can also find useful financial advice to help you make the most of your savings and investments. How is your money actually invested? 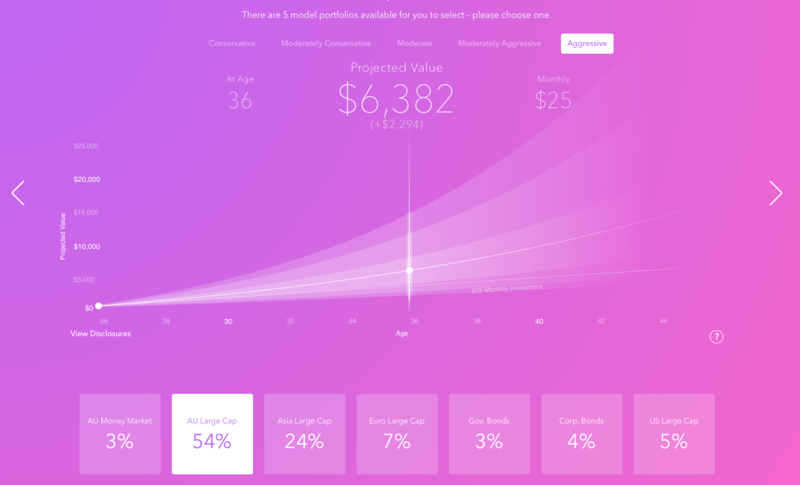 Like most robo-advisors, the company uses an investment philosophy called modern portfolio theory. The whole idea of modern portfolio theory is investing in a diversified portfolio, across multiple asset classes, in order to maximize your returns. The father of modern portfolio theory, Harry Markowitz, is an advisor for Acorns. How’s that for bragging rights? Acorns uses ETFs from seven asset classes: corporate and government bonds, domestic and international large company stocks, small company stocks, emerging markets and real estate. All of these asset classes are covered by the seven ETFs Acorns uses. It varies the ETFs in your portfolio based on your risk tolerance level and your investing goals. The company offers fewer ETF options than other robo-advisors. Some, like Wealthfront and Betterment, also provide more detailed explanations of their investing strategies. Acorns operates more on the principle of “let us worry about the technical details.” While some might want more visibility into their investment, this approach makes things easier for Acorns’ target market of young people who are new to investing. As of early 2018, Acorns offers individual taxable accounts and some retirement accounts. The retirement accounts are limited to Roth IRAs and traditional IRAs. Acorns does not manage 401(k) plans but it may be possible to rollover a 401(k) into an IRA that you have with Acorns. When you start investing, you can choose from one of five prebuilt portfolios. These portfolios are tied to your risk tolerance level: conservative, moderately conservative, moderate, moderately aggressive and aggressive. You can open an account for free but you need at least $5 to start investing in a portfolio. Acorns is geared toward millennials and young investors. College students particularly benefit and might qualify for no-fee management for up to four years. If you are just starting to invest, an Acorns account is a great way to get started. Ultimately, the company is about helping you save and invest money. People who find it difficult to put money into savings could benefit from an account. Maybe you tried investing in the past but couldn’t remember to regularly contribute money to your account. This service automates everything so there’s no fear of forgetting to transfer money. It's also an affordable option if you don’t have much to put toward investing. Acorn’s services are completely digital, which is fine for someone who doesn’t want or need to meet with a real person to talk about their investments. If you are a serious investor who wants to invest in more than the seven ETFs or in other types of funds, you should look elsewhere. Other robo-advisors also offer more account types, such as 529 college savings plans. The biggest catch with an Acorns account is the cost. Unlike other robo-advisors, Acorns charges a flat management fee. Spending just $1 each month sounds great, right? Well it can actually work out to a high percentage of your assets if you don’t have a lot of money in your account (and most of Acorns’ users likely don’t have very much in their accounts). Imagine that you have $500 in your account. A $1 fee would equal 0.2% of your assets under management (AUM). That’s 0.2% each month; if you have $500 in your account for an entire year, you would end up paying an annual fee of worth 2.4% of your AUM. That’s a very high rate compared to other robo-advisors, which typically charge at an annual rate of 0.50%, or less, of AUM. If you opt for one of Acorns’ more expensive plans, you will pay even more. At the same time, the flat monthly fee also translates to a relatively low fee, percentage-wise, if you have more in your account. With Acorns Core ($1/month), an account balance of $5,000 would bring your fee down to about 0.25%, which is similar to the management fee from other big robo-advisors. You would need about $10,000 with an Acorns Later (retirement) account to get down to a fee of 0.25%. Once your account is that large, the monthly fees from Acorns start to look like a good deal. With that said, you should be aware that the ETFs that Acorns invests your money in will charge their own fees. Acorns says it bakes these fees into the prices of the ETF shares. Fees aside, it’s worth noting that other advisors also offer more robust investing services which can be useful as the value of your investments increases. For example, other robo-advisors help reduce your tax burden with tax-loss harvesting, This is a feature that sells investment that have lost value and then buys very similar investments, allowing you to claim a capital loss deduction on your taxes while staying invested in the market. The end result is that you decrease the amount you owe in taxes at the end of the year. While many Acorns customers don’t earn enough income for tax-loss harvesting to make a significant difference, the taxes could still add up. Acorns recently began offering retirement accounts, which are great if you need to build retirement savings. However, the company still isn’t the most comprehensive robo-advisor and other services may better cover all of your savings goals. 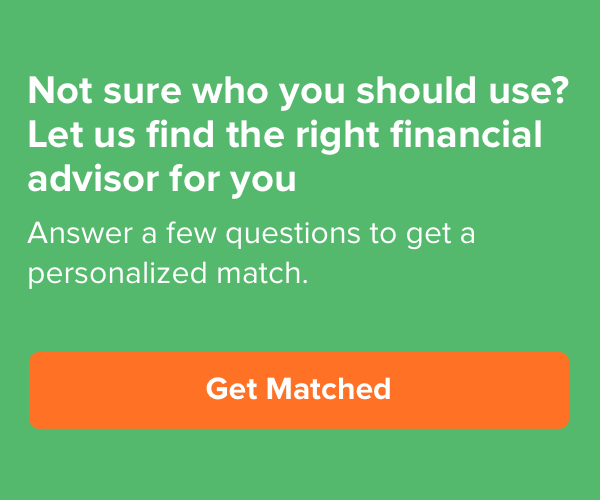 You also don’t get any face-to-face professional advice from robo-advisors like Acorns. Some people prefer being able to ask questions face-to-face, particularly if their financial situation is more complex. No matter your personal situation, talking with a financial advisor who is a real person can help you to create a more comprehensive plan. It will also allow you to combine your retirement planning with other financial and tax considerations, so that you have one financial plan to cover your entire life. For some people, another “catch” is that the company will have data on every purchase that you make with your cards. You could choose not to link any cards to your account and add money to your account only by making deposits, but then you wouldn’t be taking advantage of what makes Acorns unique. Competition: How Acorns Stacks Up? This robo-advisor is designed for young investors and college students with little or no regular income. Like other robo-advisors, Acorns offers multiple types of accounts that can help you to start investing, whether through a taxable or retirement account. It doesn’t offer as many features or account types as some other services, so it isn’t necessarily the best option for users of every life stage. Stash is one company that operates in a similar market. It’s tailored to people who are new to investing and it includes a lot of informational materials about saving money and investing. Stash is nearly identical to Acorns in price, but it isn’t actually a robo-advisor. It doesn’t manage accounts directly and only helps to guide users through the investing process. Notably, it offers educational materials for those just learning to invest. Acorns offers the same basic accounts as other robo-advisors, but its offerings aren’t the most comprehensive. Most robo-advisors, including Wealthfront, Betterment and Personal Capital, offer various types of accounts. A serious investor will also find that Acorns doesn’t offer all the tools and features that many of its competitors do. For example, Wealthfront and Betterment both offer tax-loss harvesting. Wealthfront also offers direct indexing, a similar strategy for taking advantage of capital losses to lower your tax bill. This feature is only available for accounts with at least $100,000, but it is very useful if you have that much to invest. Beyond just taxes, Acorns may not regularly rebalance your portfolio. Some robo-advisors do this daily or monthly to ensure your investments stay on track. Other robo-advisors also offer more personalized portfolios and more asset classes. Still, if you’re a young investor with a low net worth, you’d probably see limited benefit from features like tax loss harvesting and rebalancing. Acorns does have a clear advantage on account minimums. Most robo-advisors require at least $500 to get started, while Acorns requires only $5 to start investing. This makes it an affordable option if money is tight. With that said, it’s not alone in having low account minimums. Betterment, for instance, has no minimum. As for management fees, Acorns charges a flat monthly fee of between $1 and $3. This often works out to an annual rate of more than 0.5% of your AUM. Lower balances are the hardest hit. You can easily find another service charging a fee of 0.5% or less. Acorns is completely internet-based and investors who feel more comfortable talking with human financial advisors might prefer another company. Betterment has a plan that allows you to talk with a financial expert over the phone, though it requires a minimum balance of $100,000. Bottom Line: Should You Use Acorns? Acorns is designed for a specific customer: a person who has a difficult time saving money or doesn’t know a lot about investing. As such, young people are the clear target market, and college students with little or no income will particularly benefit. If you fall into this category, you should consider an account. The company’s roundup system probably won’t earn you a ton of money, but it’s certainly a good place to start, and a little bit saved during your college years can really grow over the next few decades. And because it automates everything, you don’t have to worry about transferring money. On the flip side, the company doesn’t offer many investing tools, like regular portfolio rebalancing and tax-loss harvesting. It also offers only a few account types. These account options may be enough to cover novice investors, but it also means that you will eventually need to get an account with another company if your needs or goals change. Acorns does not provide many features for investors who have a more complex financial situation. If you have multiple types of investments, you may want to talk to a financial advisor. Financial advisors are professionals who can help you to figure out everything from planning your investments to navigating tax season. For many people, the biggest drawback with Acorns is that it doesn’t offer a retirement account. Planning for retirement is not only important, but you can really help yourself by starting early. Even if you can only put away a little bit of money when you’re young, that money will grow significantly thanks to compounding interest. This free retirement calculator will help you understand how small contributions now can mean big savings by the time you retire.